Preview: Should New Zealand beat Kenya, a South Africa win against Windies would secure a quarter-final berth for them and the Kiwis, sending the holders crashing out at the first possible opportunity. But a Windies win would throw the whole group wide open, and make a net run-rate tiebreaker between these two teams and New Zealand a real possibility. The equations on offer are tantalising when the two most recent ICC U19 CWC champions take each other on at the Bay Oval in Tauranga on Wednesday (17 January). In the clash against Kenya, van Tonder hammered a 143 that comprised 14 fours and five sixes, the joint-third highest for South Africa, matching AB de Villiers 15 years ago, and the second highest for them in the ICC Under 19 Cricket World Cup. Admittedly, Kenya didn’t pose the biggest challenge, but van Tonder’s belligerence would have caught Windies’ attention – how they handle him will go some way to deciding their fate in the tournament. Windies might have ultimately suffered a tame defeat against New Zealand, but for a while it seemed as though Simmons would bat the hosts out of the opening game. He eventually ended with a 132-ball 92, but only because he had to ensure he remained in the middle while wickets fell all around him. If provided with stable support, he might yet make the sort of impact that can keep alive West Indies’ hopes of defending the title. Going by history, this should be a cracker. The two sides have played nine matches over the years, with Windies winning five to South Africa’s four. Five of these encounters came during the bilateral series in July, when Windies toured South Africa, winning a thrilling series 3-2. They clinched it in the final clash at Durban, sneaking a two-run win. It sets things up nicely for tomorrow. This is South Africa’s 11th World Cup appearance; the 1988 tournament came during their period of isolation from international cricket. After four near-misses – they came third at the 1998 and 2012 events, and were runners up in 2002 and 2008 – they finally registered their maiden triumph in 2014, with a team featuring current Test players Aiden Markram and Andile Phehlukwayo, and MRF Tyres No. 1 ranked bowler Kagiso Rabada. But that was followed by their joint-worst performance, as they failed to make the quarter-finals in 2016, finishing 11th in the final analysis. In Bangladesh two years back, Windies saw off India in a tense finale to win the tournament for the first time. The best they had fared till then was in 2004, when they were runners up to Pakistan. 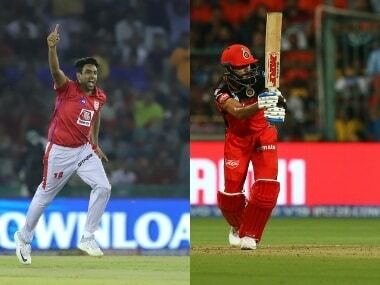 From that 2016 title-winning side, the likes of Shimron Hetmyer and Alzzari Joseph have graduated to the senior level. This clash has thriller written all over it, but the only thing that could disappoint all concerned is the weather – relentless rain is on the cards for Wednesday. Despite that, matches have been played to a result in Tauranga so far, and more of the same is expected. 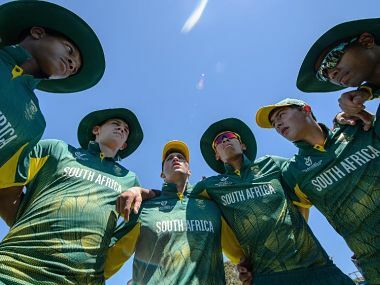 South Africa: Raynard van Tonder (cap), Matthew Breetzke, Gerald Coetzee, Jade de Klerk, Jean du Plessis, Fraser Jones, Wandile Makwetu, Akhona Mnyaka, Andile Mokgakane, Kgaudisa Molefe, Jason Niemand, Thando Ntini, Jiveshan Pillay, Hermann Rolfes, Kenan Smith. Windies: Emmanuel Stewart (cap), Kirstan Kallicharan (vc), Ronaldo Alimohammed, Alick Athanaze, Cephas Cooper, Jarion Hoyte, Kimani Melius, Ashmead Nedd, Kian Pemberton, Raymond Perez, Joshua Persaud, Jeavor Royal, Keagan Simmons, Bhaskar Yadram, Nyeem Young. 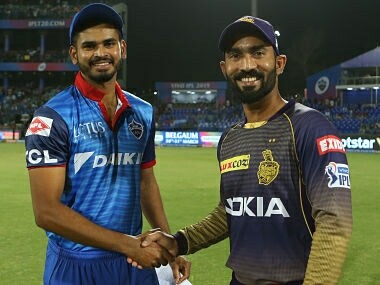 This article first appeared on ICC-Cricket.com, reproduced with permission.